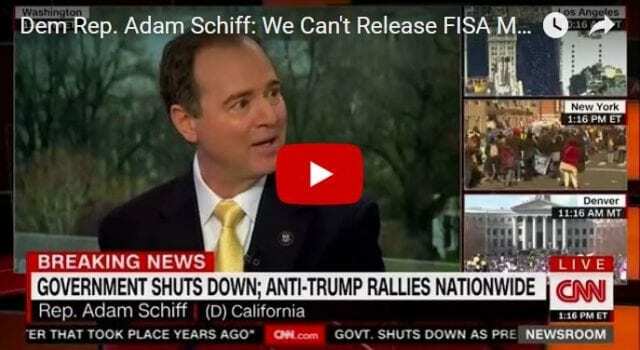 Rep. Adam Schiff (D-CA) joined CNN Saturday to discuss the explosive FISA memo. Asked why he is fighting to keep the report under wraps, the California Democrat said he doubts the American people will understand its contents. Previous articleAmerica Under NEW Ownership – We the People! Next articlea MAJOR MAJORITY of Americans oppose sanctuary cities!